Any chance I have to talk about my classroom theme, I'm in! 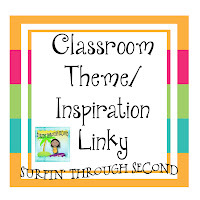 I'm linking up to Surfin' Through Second's Linky party all about classroom themes. If you follow my blog you can probably guess my theme but if not it is ocean/fish themed. Lets get to the pictures shall we? My main colors were decided after I bought the fabric for my banner: Green, Blue, Yellow. But you'll find other bright colors all over as well but I'm trying to make these mostly predominate. 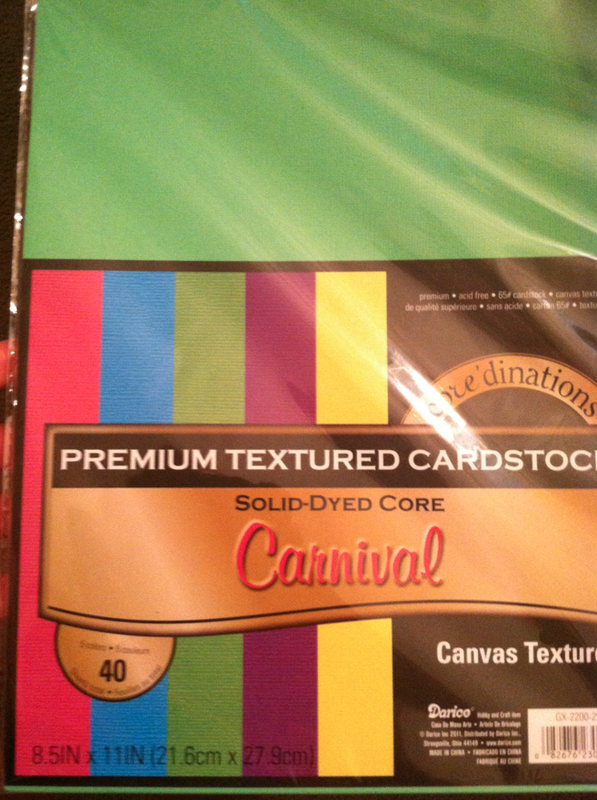 It has blue, yellow, green = perfect. I want to put it on bright blue paper. I might double boarder it with yellow to really make it pop. The colors match my boarder pretty perfectly and my wreath! My trick is I keep pictures on my cell phone so then I can see if things would really go well together. 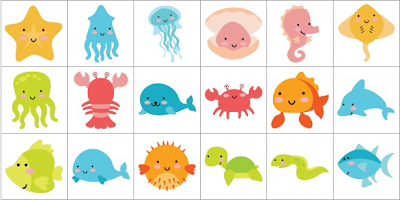 They also have a a set called School of Fish I use a lot that I love since it incorporates fish AND school stuff! It's found here. I have some fishing net I'll hang on a wall, stuffed animal shark, dark blue buckets, and a few more things for the student's desks that will add to the 'ocean/fish' theme. I wish I could take pictures of it all but its packed up in my classroom. Guess you'll have to wait for the big classroom reveal in August! But can you picture the theme coming together? I'm hoping it will look fabulous! 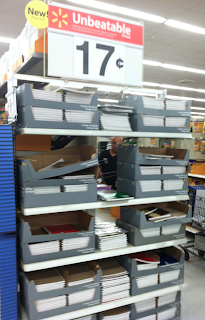 It is spiral notebooks right in the front! 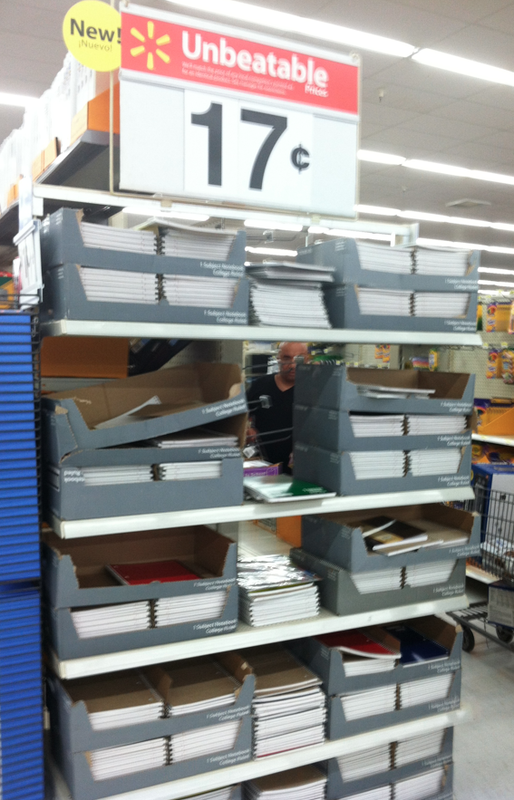 That means school supplies shopping is coming! Can't wait for Target to get theirs! Okay, you inspired me. I need to make those pennant banner things. LOVE! I love your theme! I am doing an ocean theme and I have loved getting ready for it! OH YEA!!! I am so excited you posted that sign. I have been waiting and waiting for the school season shopping to begin! I'm inspired, too! I love your banner! I really think I'm going to have to make one for my classroom!! Love your banner and wreath! I love it! 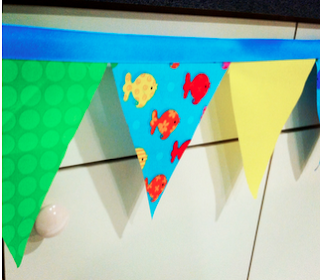 Everything is bright and colorful and kids love an ocean theme:) The banner is just too cute! Thank you so much for sharing. Loving your class theme! I also have a beach/ocean theme going on :D Stop by my blog when you get the chance to take a peek..I've also given your an award! I love your classroom theme and colors! 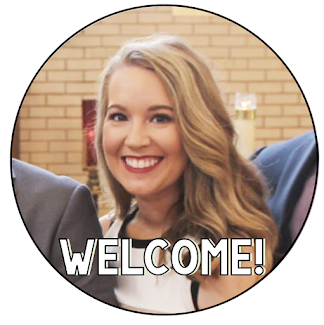 Your classroom is going to be a happy, bright place to be! My former classroom color scheme was blue, green, yellow. It is a great color combo! I'm trying a new color scheme this year. Gray and yellow with black and white accents. It looks really fabulous. 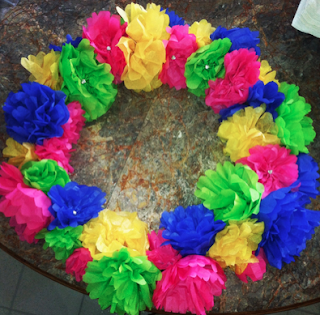 I liked your theme, wreath and creative ideas in it. As a writer in dissertation writing service UK one should have creative ideas in writing. Anyways, i am really exited and waiting for the big classroom reveal.